Paper airplanes are fun, but you don’t want your resume to become the vehicle for a recruiter’s mid-afternoon horseplay because you’ve bored them to death. That’s why we’re giving you some guidelines on key resume errors to avoid and things you can do to make it past the first round of reviews. This post comes at an especially relevant time for you rising seniors and 2nd year MBAs (we did that on purpose). As fall approaches, many of you will be meeting consultants and recruiters for the first time at on-campus career fairs, company info sessions, and firm-sponsored recruiting events designed for your class. Follow our tips to ensure your resume makes it into the interview pile, not the trash. Visit our recruiting deep-dive post for specific guidelines on networking at recruiting events if you need a refresher. We give you an overview on how to be prepared, then cover specifics on exactly what to do at the event, what questions to ask, and what to do once the session is over. Now let’s deep dive into the resume. We’ll start with 4 key traps that can trip up even the most ambitious candidates. For the same reasons explained above, a resume writer or career site is going to produce a good-looking document, but they’ll miss the target on the key attributes required in a consulting resume. The difference here is that, while you’re not spending a penny with a visit to your career services office, you’re going to pay out the nose for a generic review that doesn’t get you any closer to an interview slot. What’s worse, in most cases you don’t walk away with a polished, professional resume once the service is complete. 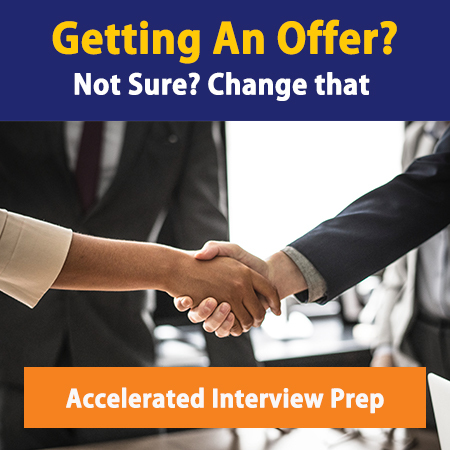 They may tell you in a few bullets what you can do to improve your resume or email you an impressive 14-page report on how your resume measures up against their benchmark – but how does that help you? It just gives you a lot more work to do than you started out with. It’s great that your contact works at the firm – they know things you can’t learn from the company website or a job description – but unless they’re invested in your success, it’s unlikely that they’ll be very helpful to you. Why? Simply put, people don’t spend time on things they don’t care about. They may give it a cursory look or provide a couple of high level action items, but they’re not going to give you the level of scrutiny you need. Instead, ask the person for an informational interview. A resume review may be possible down the road once you’ve built a relationship, but asking for it too soon is a poor use of that connection. This is the biggest trap, and can be the most costly. You’ve looked at your resume over and over, for hours at a time. The random comma that inserted itself between “at” and “firm” has completely fallen off your radar because you’ve seen it so many times. You’ve entirely missed that indent that’s just a little different from the rest because your eyes are glossed over. And that “three” instead of “3” has escaped you because it’s embedded in a sub-bullet. The primary reason to have someone else look at your resume is to catch stupid mistakes – those key formatting or presentation errors that you haven’t caught because you’ve been looking at the document for too long. Think these don’t matter? Think again. Simple mistakes communicate apathy and lack of attention to detail. If you don’t believe us, read about iFixit founder’s zero tolerance rule on Harvard Business Review’s blog network. While the person reviewing your resume doesn’t need to know management consulting, they DO need to have excellent grammar skills and a keen attention to detail. Without those, you’re wasting both of your time. No matter how many times we tell first-timers this, they just don’t seem to get it. Give yourself more time than you think you need to write or edit your resume. Additionally, don’t try to do it all in one sitting. You may get a great first draft done, but at minimum you need to walk away for few hours and come back for another look. Often in that second round you’ll notice things you hadn’t seen before, particularly when it comes to presentation and clarity. People love to give advice. Take advantage of that! Ask professors and colleagues you trust to review your resume and give you feedback. Bring a copy of your resume to an info session and ask a recruiter or associate to give it a once-over. You’ll be amazed at the insight you’ll glean in a 2-minute conversation with a consultant! Your goal in soliciting critiques from multiple people is to gather different opinions, then pick out themes of best practices amongst them and apply them to a cohesive best-in-class resume. First, you want an edit, not a review. As we mentioned above, a review is an easy way out for the reviewer – it leaves all the work up to you and gives you feedback based on an arbitrary benchmark created by the reviewer. Second, you want a minimum of 2 rounds of edits so you can provide feedback on initial questions from the editor and you can incorporate their suggestions into your story before they give it a final look. Whichever method you use to build your consulting resume, make sure it’s one that will steer you clear of a dead-end. Best of luck!